When a person is killed in an accident caused by the negligence of another person or entity, his or her family members may file a wrongful death claim. Wrongful death lawsuits may also be filed when the person’s death was caused by criminal conduct of others such as murder, drunk driving or as a result of the commission of another crime. 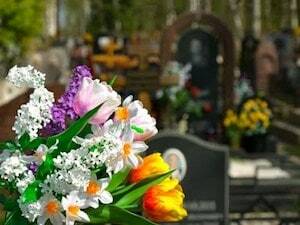 It is important for you to understand what a wrongful death claim is in California, who may file a case, how the value of the claim is determined and the statute of limitations for filing. What is a California Wrongful Death Claim? A wrongful death claim in California is a lawsuit that is filed by the family members or loved ones of a person who is killed as a result of another’s negligence or wrongful act. The claims are filed against the person, persons or entity that are believed to have caused the death. Through a wrongful death claim, families may be able to recover a number of different types of damages, depending on the facts of their loved one’s case. Damages may include reasonable amounts for funeral and burial expenses, any medical expenses that were incurred before the loved one succumbed to his or her injuries, the person’s lost future income, loss of consortium, any pain and suffering the person may have received, lost rights of inheritance and others. Who is Entitled to Pursue a Wrongful Death Claim Under California Law? In some cases, the value of a wrongful death claim will be limited by the insurance policy limits of the defendants or the assets of the responsible parties. Experienced Los Angeles wrongful death lawyers may work to maximize the recovery amount for their clients. They do this by investigating all of the angles of a case and researching all potential sources of recovery. Our attorneys analyze the accident reports, video footage from traffic cameras, physical evidence, witness statements and any other information that is needed to build the strongest case. This helps to secure settlements that may be significantly higher than the insurance companies might otherwise offer. A negligent driver who caused an accident in which your loved one died may only have minimum liability insurance in California. The minimums for liability are $15,000 per person suffering bodily injury or death or a total of $30,000. This amount simply is not enough to compensate families for their loved ones’ losses. In those types of cases, our wrongful death attorneys analyze the evidence in order to determine if other viable defendants should also be named. If the negligent driver was working at the time, his or her employer may be liable. Another example may occur if the vehicle’s owner negligently entrusted his or her car to a driver that he or she knew or should have known was an incompetent driver. In cases in which a vehicle defect contributed to the accident, the car’s manufacturer or the manufacturer of a defective part may hold some financial liability for the loss. If the accident happened because of poorly maintained, designed or constructed roads, a county, municipality or the state may also be named as defendants in a wrongful death lawsuit. Our wrongful death attorneys at the Steven M. Sweat, Personal Injury Lawyers, APC, APC look at additional factors that might also impact the values of wrongful death cases. In order to determine the appropriate amount of damages, the decedent’s life expectancy has to be established. Calculating the life expectancy involves taking into account his or her occupation, medical history, age, lifestyle and other factors. An attorney may also work to prove how much financial support was lost by the loved ones who survived. In order to determine this, the attorney will analyze the victim’s anticipated future earnings, occupation and other facts that are relevant to determining the income that was lost. When the person who died was a child or a retiree, proving work-related losses may be highly complex, necessitating the help of an experienced lawyer. In cases in which several people are seeking to recover compensation, it may be necessary to establish a probate estate. In this type of situation, the wrongful death lawsuit will be brought in the name of the estate rather than in the names of the individuals. Like other civil cases in California, plaintiffs in wrongful death actions must file their claims within a set time period. A majority of wrongful death cases must be filed no later than two years after the injury or death. If the person died as a result of medical malpractice, the claim must be filed within three years from the injury incident or within one year of when the injury was discovered or should reasonably have been discovered. Finally, if the person’s death resulted from a government tort, then the claim must be filed with the appropriate agency within six months. If your loved one died as a result of someone else’s negligent or intentional actions, you may need to get experienced legal help. Our Los Angeles wrongful death lawyers at the Steven M. Sweat, Personal Injury Lawyers, APC, APC are dedicated to helping our clients to obtain justice and fair compensation. Call us at 323-944-0993 today to schedule a free consultation.